Melissa joined the firm in 2014 as of counsel. She is admitted to practice in state and federal courts in Rhode Island, Massachusetts and Michigan. Melissa is a graduate of the University of Wisconsin and University of Detroit School of Law. Melissa has focused her practice on business law, advising corporate and individual clients on a wide variety of business issues. She was a law clerk for the U.S. Bankruptcy Court for the Eastern District of Michigan. For more than twenty years, Melissa has advised corporate and individual clients on a wide variety of issues including business restructuring, creditors rights and government contracts. She also has had considerable success litigating, arbitrating, and mediating business disputes in various types of alternative dispute resolution proceedings, before specialized forums such as receivership and bankruptcy court and administrative agencies, well as in traditional litigation in state and federal courts. In her regulatory practice, Melissa has litigated breach of contract claims and counter-claims asserted before the Civilian Board of Contract Appeals. She also has experience in addressing land use issues before the Rhode Island Department of Environmental Management and the Coastal Resources Management Council. Ms. Horne taught business law at Providence College and has authored several articles. 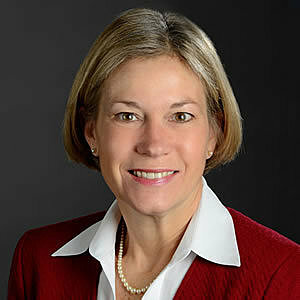 She is a member of the Rhode Island Bar Association, Federal Bench Bar Committee and Superior Court Bench Bar Committee. She is on the Board of Directors of the Barrington Land Conservation Trust and a member of the Barrington Committee on Appropriations. Ms. Horne is the recipient of the Martindale-Hubbell AV Preeminent Peer Review Rating.